Our Meeting and Convention Center, along with the Lakeside Ballroom, are the perfect venues for your gathering. 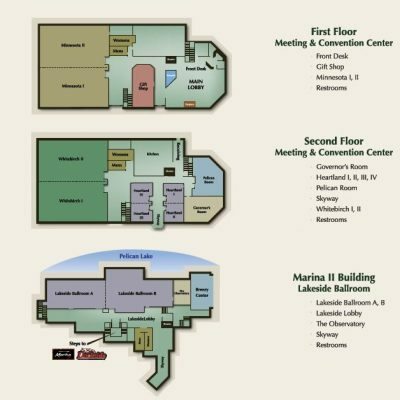 When your conference is held at Breezy Point Resort, your group will be hosted in this state-of-the-art center for banquets, meetings and even exhibits in 25,000 square feet of flexible function space. Our two largest rooms will accommodate 450 people each in addition to many deluxe smaller meeting rooms. Sensitive to your planning needs, our professional staff shares a total commitment to your satisfaction.